Do you like the modern gerbera or the traditional and eternal red rose? Would you like lilies to fill your room with fragrance or the elegant orchid sitting calmly in it's vase? Or if you would like to order something that is not in our current range, maybe from a previous brochure or a bespoke design, please contact us to discuss your requirements. 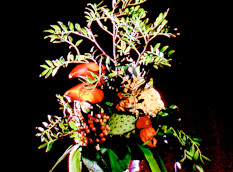 Bespoke boquets made to order for your special day. Fresh designs, fresh ideas, embracing autumn. Corporate designs for exhibition, office or showroom. Contemporary planters designed to suit you. 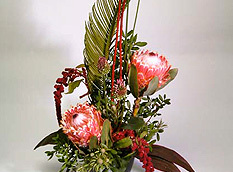 Create your own bespoke designs with a combination of flowers. Flowers help you offer sympathy at an emotional time.